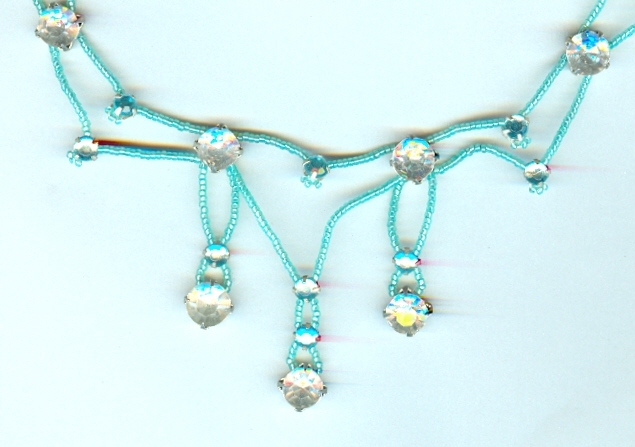 The sparkling crystal rhinestones are securely prong-set in silver-plate findings. 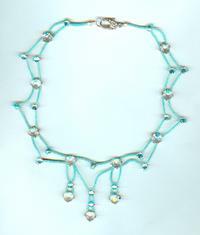 The strand closes with a vintage silver plate rhinestone-studded lobsterclaw clasp. The centre drop falls about 2 inches below the strand. This piece of original loveliness is from SPARKLE PLENTY, of course. 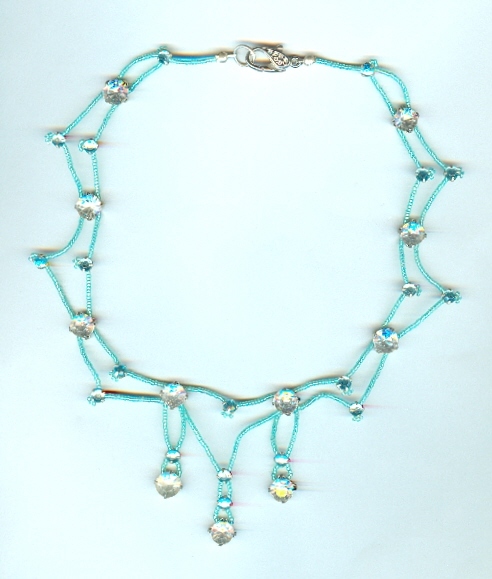 This flexible beauty is made with ultramarine and frosty matte aqua Czech glass bicone beads, needlewoven together for maximum flexibility.